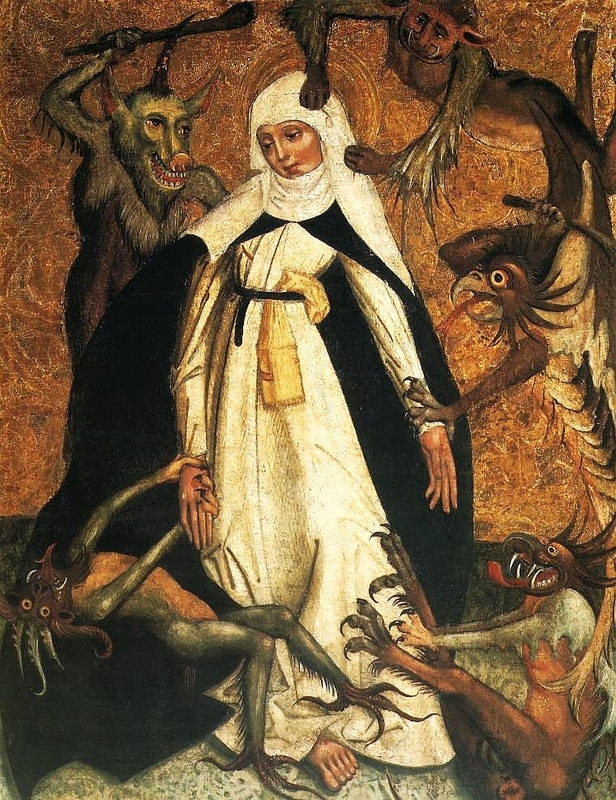 A prolific mystical writer, Catherine of Siena was a civic-minded living saint, concerned not only with the afterlife, but also with earthly affairs surrounding both spirituality and community activism. Having learned to read and write informally through a network of tertiary nuns, credited with returning the Pope to Rome from Avignon through diplomatic missions, caring for the sick and comforting prisoners, Catherine served as a hub among both the religious and the secular in her city of Siena, broader Tuscany and Italy, and Avignon as well. With nearly 400 letters extant written to both religious and nonreligious contemporaries alike, prayers recorded by her followers, and a book written in the emerging vernacular Italian that was subsequently translated into Latin and Middle English, Catherine’s corpus is profound and far-reaching. Utilizing digital humanities tools for network analysis and topic modeling has served to both contextualize Catherine of Siena as a central figure of 14th-century Europe, as well as substantiate her as a literary figure who wrote metaphorically and adhered to poetic trends of her time.